Not Sure What Kind of Pest You Are Dealing With? It’s a beautiful spring day in Los Angeles. You opened the windows to take full advantage of the lovely weather. Later that evening, you see something small out of the corner of your eye. You think it’s just a bit of dust or dirt—until it moves. It’s easy to kill a single insect with a piece of toilet paper, but the sighting leaves you worried. What if it’s part of a larger infestation? What if it’s the type of bug that can ruin food and chew clothing? What if it’s venomous or has a painful bite? It’s difficult to answer these questions without knowing what kind of pest you saw. If you are worried about a pest in your home, call or email Greenleaf Organic Pest Management Inc. We help you by identifying pests, letting you know whether they are a threat, and setting up a unique management plan. To start identifying pests, we need a picture of the pest in question. Make sure to take a high-resolution photo so the details of the insect or pest are clear, and ensure that the area has adequate lighting. If you’re using a phone, make sure to change the settings to allow the camera to focus on a small area. 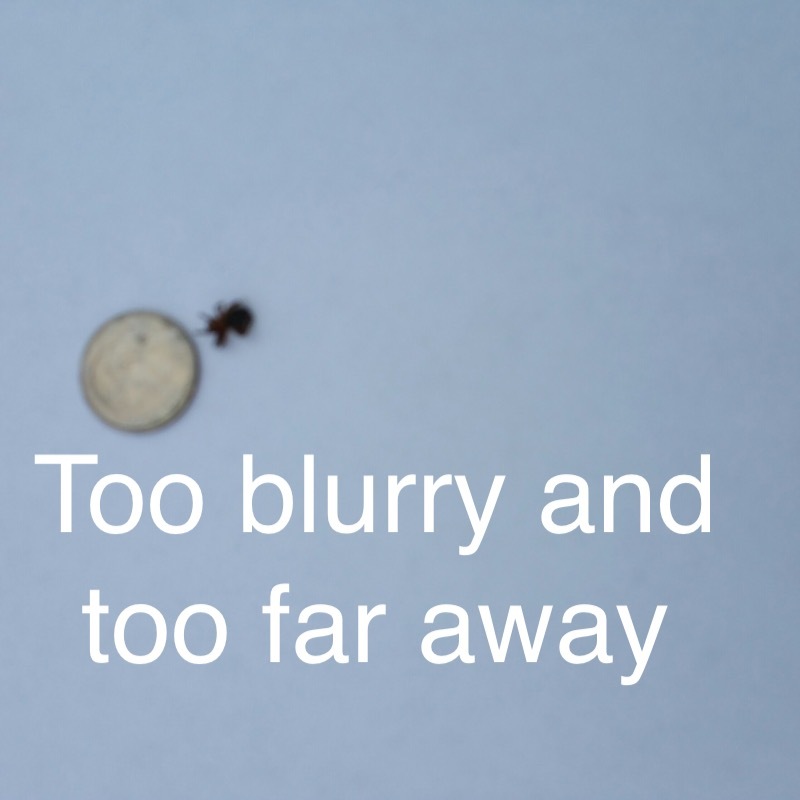 Try to get as close as possible, as zooming can often make a picture blurry. Place a coin next to the pest to give us a frame of reference. For example, a German cockroach is about the size of a penny, while an Oriental cockroach can be larger than a quarter. 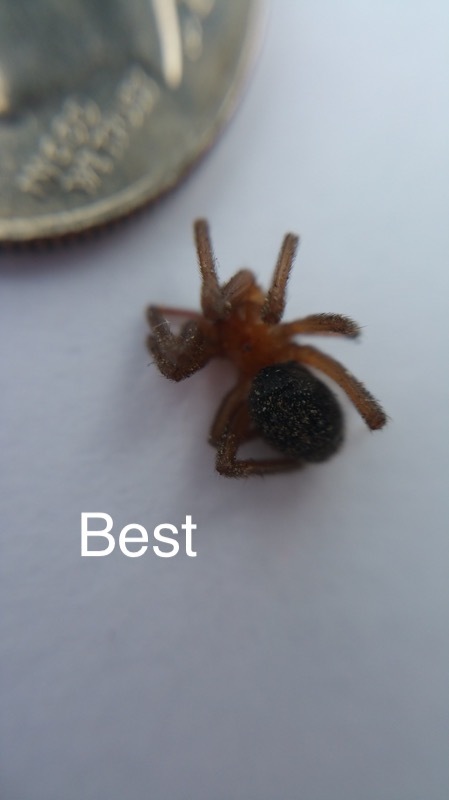 Knowing the size helps us identify the pest faster and start on a proper management plan. Email the picture along with a description of the location to mark.greenleafpest@gmail.com. Provide as much detail as you can about where you saw the pest and when you started seeing it. We also have a direct link on our webpage, “Ask the Expert”. Once we know what we’re dealing with, we can easily solve the problem. At Greenleaf, we use a variety of methods to stop pest infestations. Rather than treating your whole house or yard to toxic chemical sprays, we may recommend sealing up holes around doors or windows or installing new window screens. If we determine that pesticide is the best option, we choose to apply low-toxicity and organic solutions. Our products effectively remove pests without causing damage to the environment or your health. If you think you may have a dangerous pest problem on your hands, take a picture of the pest(s) and email it to us today. We’ll work quickly to identify the pest and provide a quality solution. Below are some good examples of what is needed from a closeup picture so proper identification can be made. You must be happy with our service or it is free! Call now to schedule your FREE* pest and termite inspection visit. Free Inspection for Most General Insect Pests Services* *There is a small fee for rodents, stinging and biting mystery pest. These fees are refundable with a contracted service.